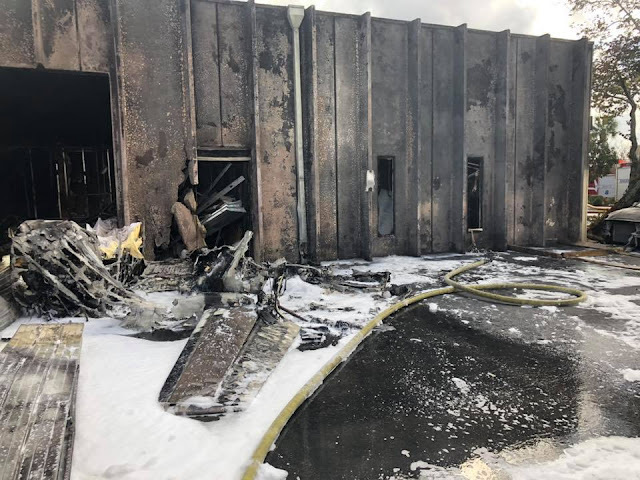 On December 1, 2018, about 1326 eastern standard time, a privately owned and operated Cessna 335, N79HP, impacted the ground and a building during a forced landing shortly after takeoff from Fort Lauderdale Executive Airport (FXE), Fort Lauderdale, Florida. The commercial pilot and pilot-rated passenger were fatally injured and one occupant of the building sustained minor injuries. 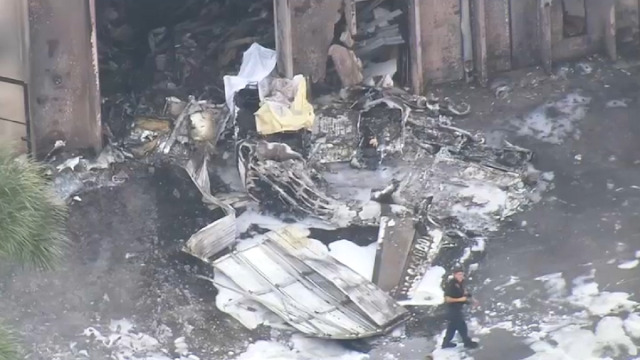 The airplane was destroyed by a postcrash fire, and the building sustained structural and fire damage. The airplane was being operated under the provisions of Title 14 Code of Federal Regulations Part 91 as a personal flight. Visual meteorological conditions prevailed at the time and visual flight rules flight following was obtained for the flight that originated about 3 minutes earlier. The flight was destined for Hilliard Airpark (01J), Hilliard, Florida. According to preliminary voice data from the FXE air traffic control tower, the pilot was cleared for takeoff and advised that the wind was from 150° at 18 knots with gusts to 23 knots. After takeoff the controller advised the pilot that he was not receiving the transponder and provided the transponder code. The controller then instructed the pilot to contact Pompano Tower but immediately asked the pilot if he was flying low along the shore. About 1325:27, an occupant in the airplane advised, "ground we got a fire left engine turning right back." The controller stated say again, and the same occupant advised there was a loss of engine power from the left engine and they were turning back. The controller cleared the pilot to land on any runway. Preliminary radar track data indicated the airplane departed Runway 9, turned left and flew in a northerly direction until about 1326, when it then turned to the west, followed by a turn to the southwest. The airplane continued on a southwest direction for about 10 seconds, turned right briefly on a northwesterly direction, then turned left and flew on a south-southwesterly direction towards FXE. The airplane proceeded near the accident site and radar data was lost about 1326:40. 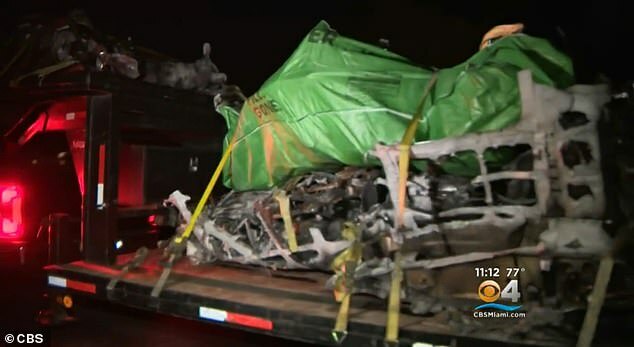 Examination of the airplane revealed it was nearly consumed in the postaccident fire. The flaps and landing gear were retracted. The wreckage was recovered for further examination. Eladio Neftali Marquez, 51, of Rahway, New Jersey, passed away tragically on December 1st, 2018 in Ft Lauderdale, Florida. A memorial gathering will be on Sunday, December 16th from 2-3PM at Calvary Chapel Old Bridge, 123 White Oak Lane, Old Bridge, New Jersey, with service following beginning 3PM at Calvary Chapel. Arrangements have been entrusted to the Old Bridge Funeral Home. The pilot of the small plane that crashed into a Florida building housing a therapy center for children with autism has been identified as a New Jersey man. 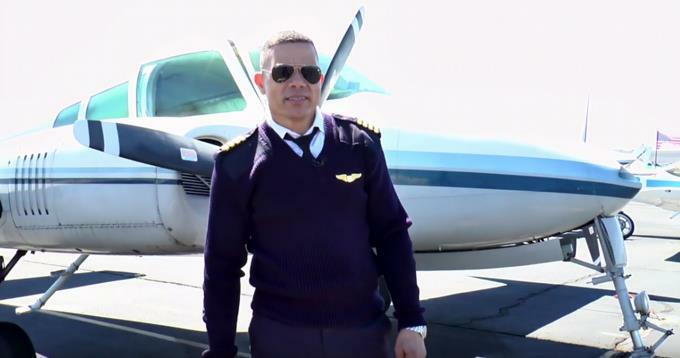 Eladio Marquez, 51, of Rahway, was identified by his wife as the man piloting the Cessna 335 that exploded into a fireball into the Fort Lauderdale building on the 1000 block of Northwest 62nd Street Saturday. 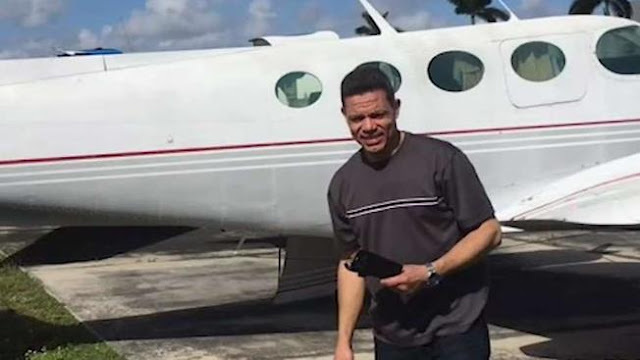 His widow spoke in Spanish to the Telemundo station in South Florida, saying he was flying with a friend who was also a former flight student. She said Marquez had been flying for 12 years and been an instructor for 10. Both died in the fiery crash. 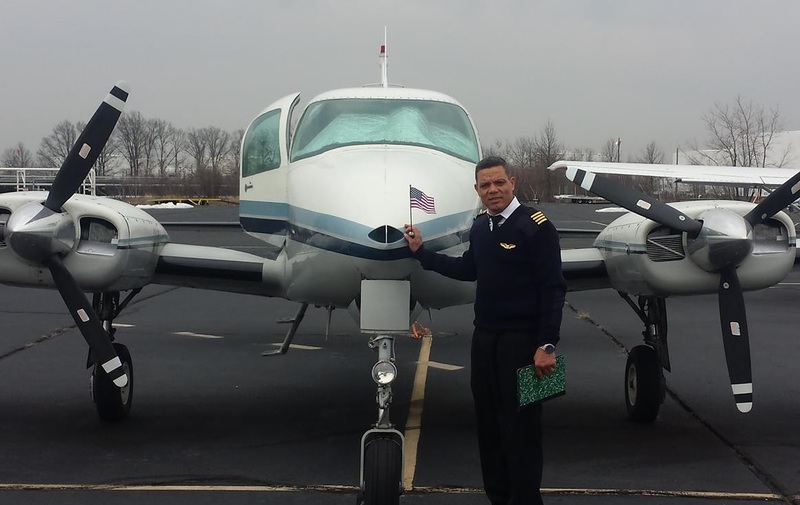 Marquez's widow told Telemundo he was bringing the plane back to New Jersey. Video footage from a nearby business shows the plane skidding across the parking lot, trailed by heavy smoke, and then erupting into flames upon impact. The Federal Aviation Administration and the National Transportation Safety Board are investigating the incident. FLORIDA - Un piloto dominicano y otra persona que lo acompañaba murieron al estrellarse el avión en que viajaban con un centro de rehabilitación para niños en Fort Lauderdale. 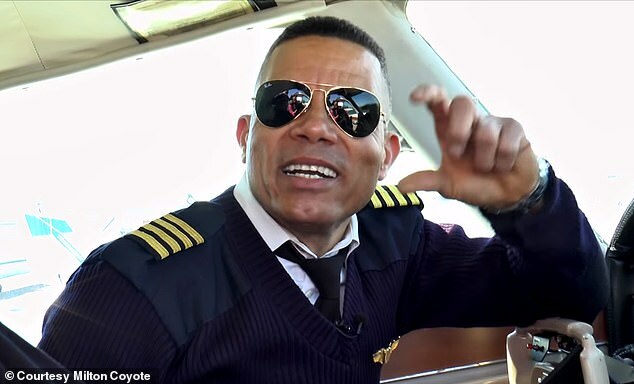 Eladio Neftaly Marquez, quien era oriundo San Juan de la Maguana, había viajado desde Nueva Jersey hasta La Florida para buscar el avión, que había sido sometido a reparaciones. La caída del aparato provocó que el centro de asistencia a niños con autismo se incendiara, pero ninguno de los niños que se encontraban dentro sufrieron lesiones. El accidente fue reportado alrededor de la 1:30 de la tarde en la 1101 Northwest y la calle 62. Según las autoridades, al momento del accidente donde falleció Eladio Marquez y Marquez (Netaly) y la otra persona no identificada hasta el momento, en el interior del centro habían cinco niños y ocho maestros, una de las cuales resultó herida cuando sacaba a los menores fuera del edificio en llamas. La mujer, la única herida en el suceso, no requirió ser hospitalizada mientras que el piloto dominicano, oriundo de Juan de Herrera, en la provincia San Juan, y el pasajero de la aeronave perecieron tras la colisión, informó el jefe de los bomberos de Fort Lauderdale, Stephen Gollan. El piloto dominicano, Eladio Márquez y Márquez (Netaly), oriundo de Juan de Herrera, en la provincia San Juan, fallecido ayer en un accidente aéreo en Fort Lauderdale, en el sur de Florida, Estados Unidos, emigró en busca del “sueño americano” en el año 1989, relató él mismo en un video colgado en las redes sociales. “Emigré a los Estados Unidos en el 1989, con una visa H1 de trabajo, cuando para ese entonces tocaba con la orquesta de Blas Duran”, relató quien también destacó la bella de su comunidad natal y su gente. “La razón que decido quedarme a vivir en los Estados Unidos después de haberse terminado la gira con Blas Durán fue, al ver las grandes oportunidades que los Estados Unidos le ofrece a las inmigrantes y vi la brecha de obtener o realizar mis sueños de piloto el cual en mí país era sumamente difícil de adquirir”, continuó detallando el exmúsico. Márquez, describió que su trayectoria no fue distinta a la de cualquier migrante en la referida nación, reseña Diario Libre. Trabajó como repartidor de volantes en la calle, joyero, camionero y luego estudió hasta llegar a ser piloto. The final, fiery moments of the fatal crash of a Cessna 335 into a Fort Lauderdale warehouse were recorded on surveillance video that was made available Monday. A pilot and passenger in the plane died in the accident on Saturday afternoon. The video was shared by a business owner based at the Executive Office Park. It shows the plane flying from the north and close to the ground before it collides with the north side of a warehouse, at 1001 W. Cypress Creek Rd. “It’s pretty incredible,” Josh Shapiro, owner of H&J Electronics International, Inc., said about the heart-stopping video that he shared. 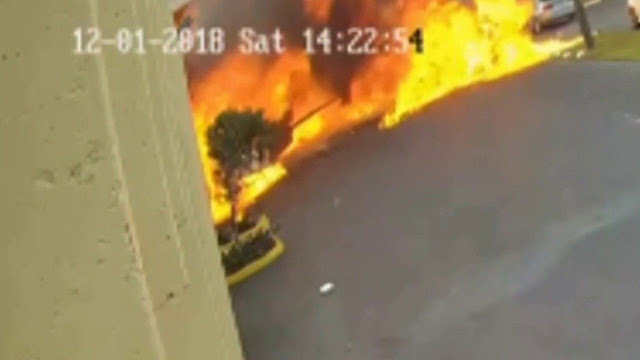 After the plane struck the facade of the gold colored building, fire enveloped the wreckage and flames traveled back along the parking lot the Cessna had flown over. People from inside the area businesses, including women and children from an autism therapy center, can be seen running from the blaze before firefighters arrive to spray water and foam over the plane. The Federal Aviation Administration said it won’t release the plane’s tail number until relatives of the victims are notified. Right after the crash at 1:30 p.m. Saturday, paramedics examined a teacher from the autism center, but she was not taken to a hospital. “The teachers of that center are the true heroes in this situation, for their quick response and getting the children out of the building,” said Fort Lauderdale Fire Rescue Battalion Chief Stephen Gollan. Five children and eight instructors escaped the fire, he said. 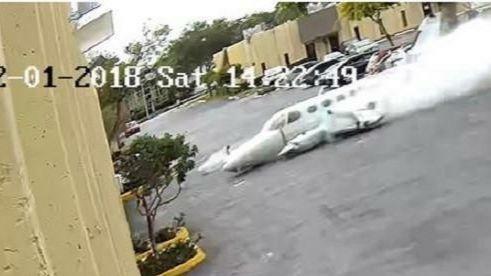 The ill-fated flight originated from the Fort Lauderdale Executive Airport, the FAA said. It crashed in a warehouse complex that is across the street from the airfield’s northeast corner. The airport is west of Powerline Road and Interstate 95. Edgar Allen, owner of Care Assist Home Care, said Monday that his business is also in the warehouse struck by the plane and that he was at work Saturday when he heard a loud explosion. He feared the ceiling could come down and said the building was shaking. He had fled without his keys and phone and ran back inside the business to grab them, he said. He said bystanders were unable to help the people inside the plane. On Monday morning, a crane was preparing to lift the wreckage onto a flatbed truck so it could be hauled away. FORT LAUDERDALE, Fla. - A small private plane crashed into a therapy center for autistic children Saturday afternoon in Fort Lauderdale, killing two people on board and setting the building on fire, authorities said. Battalion Chief Steven Gollan, a spokesman for the Fort Lauderdale Fire-Rescue Department, said around eight teachers and five children were in the building when the plane crashed. One of the teachers suffered minor injuries as she ushered the children from the building, but she was not hospitalized. The view from Sky 10 showed foam-covered debris littered across the parking lot. The front facade of the concrete building suffered heavy damage. Gollan said the crash happened around 1:30 p.m. in the 100 block of Northwest 62nd Street. By 2:30 p.m., fire crews had put out the fire, Gollan said. The crash left a large amount of aviation fuel on the ground, complicating the firefighting efforts, Gollan said. "We just seen a whole bunch of smoke," witness Jada Forrester-Reid said. "I heard the plane engines popping, about three times, 'bang, bang, bang,' and then it went right by me," witness David Devine said. Investigators said they are working to find out who was aboard the plane. The National Transportation Safety Board is investigating the crash and plans to send investigators to the scene either Saturday night or Sunday morning. FORT LAUDERDALE, FLA. (WSVN) - Two people were killed after a small plane crashed through the roof of an industrial building in Fort Lauderdale that contained a therapy center for autistic children, sparking a fire. Fort Lauderdale Police and Fire Rescue responded to the scene near Northwest 10th Terrace and West Cypress Creek Road, Saturday afternoon. 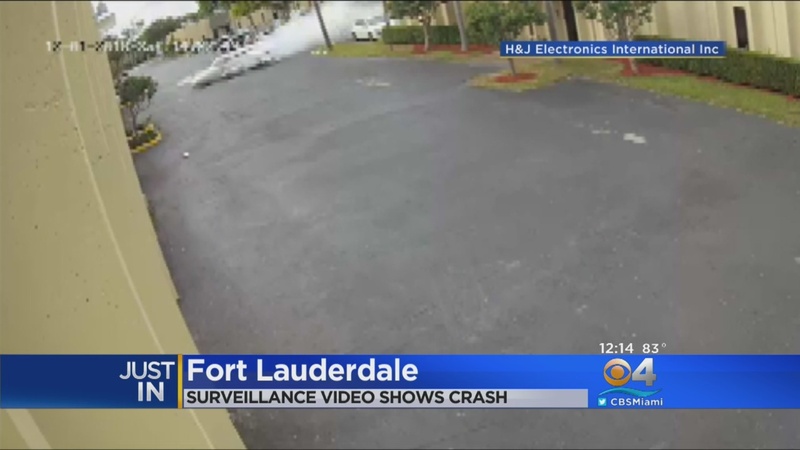 The Federal Aviation Administration said the Cessna 335 aircraft collided with the building after departing from Runway 9 at the Fort Lauderdale Executive Airport. Officials said both passengers in the Cessna 335 were killed. Cellphone video captured firefighters as they worked to put out flames. The structure is home to several warehouses and several other businesses, including the Positive Behavior Supports Corporation, a therapy facility for children on the autism spectrum. Fort Lauderdale Fire Rescue Battalion Chief Steven Gollan said eight teachers and five children were in the building at the time of the crash. Staff at the center were able remove the children to a safe location. One of the teachers suffered minor injuries, but she was not hospitalized. No one else inside the businesses or nearby warehouses was hurt. The flight was reportedly headed to Hilliard Airpark in Hilliard, Fla.
Two people were killed when a small plane crashed through the roof of a children’s therapy center in a warehouse district near Fort Lauderdale Executive Airport on Saturday, officials said. The victims, who have not yet been identified, were the pilot and a passenger. 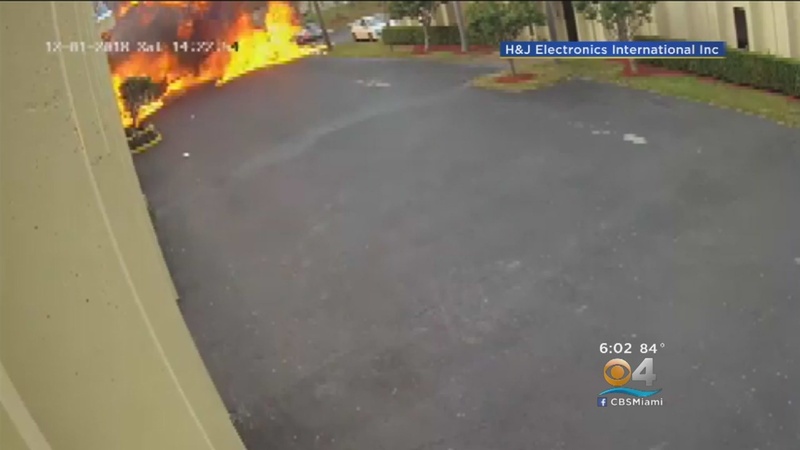 The crash set the autism therapy center on fire but none of the children inside was hurt, according to a Fort Lauderdale Fire Rescue spokesman, Battalion Chief Steven Gollan. One of the eight teachers was slightly hurt as she helped children evacuate, and firefighters removed her from the building on a gurney. The crash was reported about 1:30 p.m. at 1101 Northwest 62nd Street. There were heavy flames initially but Fort Lauderdale Fire Rescue brought them under control, officials said. The plane crashed through the roof on the north side of the building located just east of the airport. The Cessna 335 went down soon after takeoff from Fort Lauderdale Executive Airport, the Federal Aviation Administration said. Two possibilities: Fuel Contamination or training gone wild. Was this a checkout flight, or a multi-engine flight test? When you yank the power on big pony Continentals, they pop like champagne being uncorked. Linemen probably filled it with Jet A when it was in fact a piston engine requiring 100LL. Takes a while to work through the fuel lines and then "bang", blown pistons. I think you are right. Training flight gone wrong. FLL to Hilliard is a heavily traveled training route. If he had used the inertial separators less of the building damage would have gotten in the carburetors. Plane was purchased in May 2018. Plane was based in NJ. Departed Rwy 9 with winds 150 at 18, gusting to 23. Reported losing power/fire on the left engine a couple minutes after departure and were turning back to airport. Left engine failure only would most likely rule out having been fueled with jet fuel although that has happened more than once to the big piston engined twin Cessnas. Due to departure on Rwy 9 and the location of the crash NE of the airport "appears" they made a left turn into the failed engine. Classic no, no. Also, turning left would have been turning away from the SE wind. A right turn into the wind and away from the failed engine "possibly" could have made a difference in the outcome. Although the temptation would be extremely strong to try and make it back to the airport, once the turn back to the left was made and the pilot mentioning sink rate it... probably would have been better to put the plane down in the long vacant fields 1 block North of the actual crash site rather than fly into the side of a building a block North of the airport. Even if it meant sliding thru a couple of chain link fences and across a small side road. But we were told that there were only two possibilities and that's not one of them. If you research the airplane it was being sold for parts last year via sky net. I could only imagine what condition this plane was in before takeoff. Add a couple errors in judgement after takeoff including turn away from winds and into failed engine, not a great combination. So, what are the two things on earth more dangerous than twin engine piston airplanes? Let's see who has been paying attention. Fuel Contamination. 100LL is blue. When you mix Jet A with it, it's clear and smells funny. It would show in the sump draining process. I didn't limit the possibilities, I offered two possibilities. The plane registration was current until 2021, so someone paid the fees and filled out the forms. The NTSB has no record of accidents/incidents for this plane. Are you suggesting the crew was illegally flying a derelict, non-airworthy aircraft? Was a Ferry Permit issued, or required? The second possibility of Training Gone Wild (TOG) is almost a certainty in 83% of investigations. There's just something manly about Slim Pickens riding it into the dirt vs. plopping down helplessly with zero control on some high tension powerlines. I seem to remember some Rothschild connected banker in Ca. not to long ago wishes he and his ilk had ridden it in vs fumble for the football..but I digress...the skillsets werent there for that either. The wind? Turning into the failed engine? Give me a break. You guys have no idea what you are talking about. I've done 100's of engine outs and never had an issue.. That plane will fly just fine on 1 engine and the 17-23 kt wind is not going to make 1 bit of difference. Furthermore, turning into the bad engine will have nil impact as well. It does open up the potential for a roll, but that did not happen. If you have a real emergency that requires you to get on the ground ASAP, you would be an idiot to turn in a direction that would take longer for you to get your where you need to get. Yes, turning into a dead engine is the opposite of what is taught. I suspect you have been flying a simulator, not actual GA aircraft. "Raise the dead" and "dead foot dead engine" are 2 mneumonics in dealing with engine failures with multi-engine planes. Turning into the dead engine is easier, but the increased yaw and bank due to asymmetrical forces means you may have trouble controlling the aircraft and exiting from the turn. You will notice N79HP mentioned sink rate. Raising the dead engine and turning into the good one will mean it is initially harder to get into the turn, but the good engine will help you get OUT of the turn and control the aircraft better. The rules are there for a reason. They are usually right. You would be an idiot (and likely another statistic) to ignore them. It's not about getting to the ground ASAP. N79HP did that. It's about getting there as soon as safely possible. Disclaimer: I am not multi-engine rated, but I have done some research on this topic. Consult your CFI for proper training. WNBC-TV News is following the investigation of this accident. Several on this site have posted information that N79HP at one time had been listed for sale for scrap. Does anyone have a link to that listing they could share with us. Use e-mail Desk@NBCNewYork.com. Thanks. Another fatal twin engine crash due to an engine-out scenario. I'm seeing a trend here and I'm thinking it's a pilot training issue. Were there just as many twin crashes back in GA's heyday of the 70's or do we just here about them more due to reporting sites such as this one? I'm thinking pilots back in the 70's were trained better to handle twins with an engine out (more military training) or is it that all the old-school CFI's have retired or died? I would think a properly trained and proficient pilot should be able to fly a twin with a dead engine to a successful landing the majority of the time except maybe in hard IMC or if some mechanical renders the aircraft unflyable. MEI here. Sounds to me like a repeat of the John Wayne C310 highway crash. Turning into the failed engine is not an issue provided you have two things - Altitude and Airspeed. Engine failures in twins just after takeoff should only result in ONE maneuver UNTIL you have sufficient altitude to return to the departure airport or land somewhere else and that is a straight ahead climb in the proper configuration until you have that altitude, NOT low altitude turns to rush back to the airport. Clean up, maintain blue line, fly whatever heading you get with a 5 degree bank into the good engine with a half ball deflection on the TC. Crawl at a couple of hundred FOM until at least 1000 AGL, accelerate and then maneuver for a landing after you complete appropriate checklists. These aircraft will not even maintain altitude cleaned up and banking around for hasty landing back at the departure airport, but usually CAN eek out a shallow climb essentially straight out if flow properly. Rush back to the departure airport banking at low altitude even with the airplane configured for an engine failure and you’ll come up short almost every time. Aircraft was listed at some point on Sky4Buy.com as “being parted out”. Usually aircraft like that are worn out or damaged and no longer worth the cost of airworthiness. As such, I would question its airworthiness and maintenance. MEI ATP .. A hasty and poorly thought through retreat back to the airport after an inflight problem, no matter what you fly is generally going to lead to complications. To many complications equals disaster. Rehearse, plan for failure, fly the airplane. I agree ... Rehearse, plan for failure, fly the airplane. I would also add: Hope that you are lucky. Maintain blue line and put some credit in the altitude bank first is a good thought, but I wonder how many of us would follow that advice if your aircraft is ON FIRE. Maybe the passenger will be able to shed some light on what happened. Passenger? I think the injured person was on the ground. Whatever they did or didn't do, sliding upright and in pretty much one piece through the parking lot doesn't look like loosing control, getting too slow, a stall or whatever and more like a controlled situation to land the aircraft - with an unfortunate abrupt stop.